Several weeks ago, I became the proud owner of a gorgeous mini instant photo printer. If you're a child of the 80s (and prior), you'll know how incredibly fun instant photos were. Despite the awkward and bulky camera exterior, one push of a button and a few shakes later, those magically changing photos sparked fits of laughter and created immediate memories. Unfortunately, the film for this particular unit is only available at certain locations and it's not exactly cheap. Each photo is roughly the size of a credit card and will set one back about $2 per print. The price for instant gratification. You can only imagine how thrilled I was to discover a popular arts and crafts department store stocked their shelves with said film. You see, they offer coupons and bargains at every turn, so there always a deal to be had. When the stars align and woodland fairies dance around the virgin fire, a half off coupon will come through the wire. Luckily, this momentous occasion happened the same day I received my instant photo printer. I legged it to the store to purchase my film so I could properly play with my new toy. After perusing the aisles, I found what I was looking for and headed to the till to check out. As the cashier and I exchanged niceties, I slid my coupon across the counter to score my big savings. "I'm sorry, but this item isn't included in the coupon savings." "No, unfortunately it's not. If you read the fine print, it clearly states X brand name products are not par-." "Oh, but this isn't an X brand name product." I smiled. "It's a Y brand name product. See here? It says X brand name on the coupon; Y brand name on the box. They do the same thing function wise, but it's not the same company." "I don't believe it's part of the deal, but let me have another look." She takes my coupon and begins to skim the fine print. I begin to feel my nerves begin to twitch. "Hmmm", she continues. "It states X brand name products are not part of this deal. I feel this is an X product." "It's definitely not." I said emphatically. It's a Y product." The cashier calls the manager over and explains the situation and the manager proceeds to tell me the same story. "It's a X product. Unfortunately, you cannot use these coupons for these items." "I'm sorry, but it's not a X product. It's a Y product." She looks at the coupon again. "Well, it's an instant photo product and that's what they mean when they said X." "I respectfully disagree. No where on this coupon does it state Y products are not included in the savings. X products, yes. Y products, no. This is not a X product." At the crux of the matter, I decide to further drive my point home. "I admire your determination and loyalty to this company, I really do, but saying this Y product is an X product is like calling a Canadian, an American. They may look the same, have all the same functionality, but they're not the same thing." The long and short of it, another cashier got involved and decided they should honour the coupon because the brand name isn't included in the fine print as an exclusion. I saved $17 for standing my ground. I wanted to go back and purchase the colourful instant camera I had already planned on getting for my daughter's birthday, but I thought I'd given them enough grief for one day and was not about to pour salt over the wound. When I came home, I threw the two brands in question into the search engine just to see what the interwebs had to say about the matter. Turns out X brand markets a mini format camera built by the Y brand. Crap. Now I'm not entirely certain I was correct with this whole coupon business. However, I'm not about to put my tail between my legs and admit defeat just yet. I still feel all coupons should clearly state items and brand names carefully. If I don't see a specific product excluded on the coupon, I will fight for the savings. But I am certain about one thing. 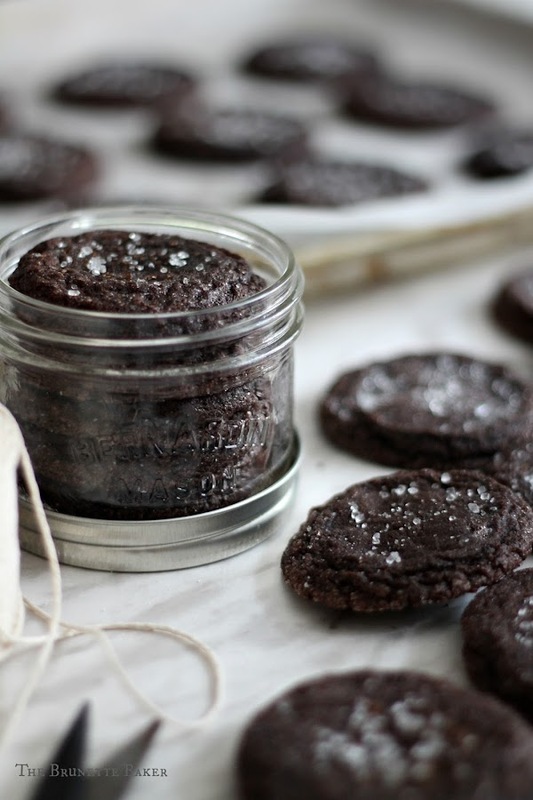 These cookies will curb any chocolate craving you may be having. In a small mixing bowl, whisk together flour, cocoa, baking soda, salt, and espresso powder. In a separate mixing bowl, cream together butter and sugar for two minutes until light and fluffy. Add in the eggs, one at a time, and mix well. Add vanilla. Slowly add flour mixture into butter mixture and mix only until incorporated. Bring dough into a ball and cover with plastic wrap. Refrigerate for one hour. Preheat oven to 350 degrees F. Prepare two large cookie sheets with parchment paper or a silicone mat. Roll out balls of dough about 1½ inches in diameter and then roll in granulated sugar, coating entire surface. Place on a prepared cookie sheet about two inches apart. Bake for 10 minutes. Remove from oven and immediately sprinkle surface with sanding sugar and espresso sugar, if using. Allow to cool on cookie sheet for a couple of minutes before transferring to a wire rack to cool completely. Store cookies in an airtight container, single layer, for about 3-4 days. This recipe yields 3 dozen. Good for you, Jenny! I've been to department stores where the exclusion list takes up the entire coupon. Sometimes I wonder why I even bother. THESE cookies are perfection! I could eat the entire batch easily!! Thanks for sharing! I absolutely love the look of these cookies! I can't wait to give them a try. They'd be great on my Christmas cookie tray! Great story too! It made me laugh. I don't know you in person, but I thought if anyone could get away with it, it would be you! 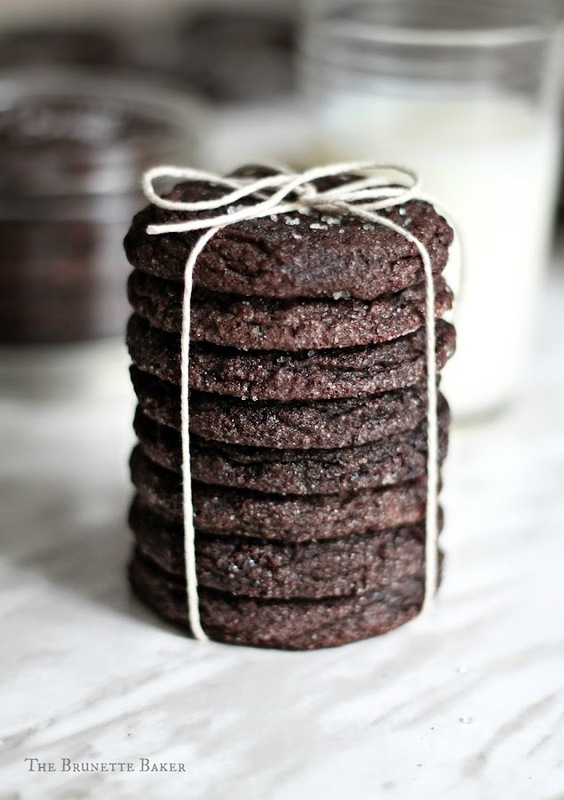 I just saw these on Pinterest and I'm seriously drooling! Your post was incredible! I don't do well with confrontation and would have backed down, but I cheer on those who do! One day I hope to get there. Go you!!! Can I substitute coffee granules for the espresso powder? I'm excited to try these out for my office Halloween party! Love. Love. Love. Love. Love. All of it! I've bookmarked these babies!! 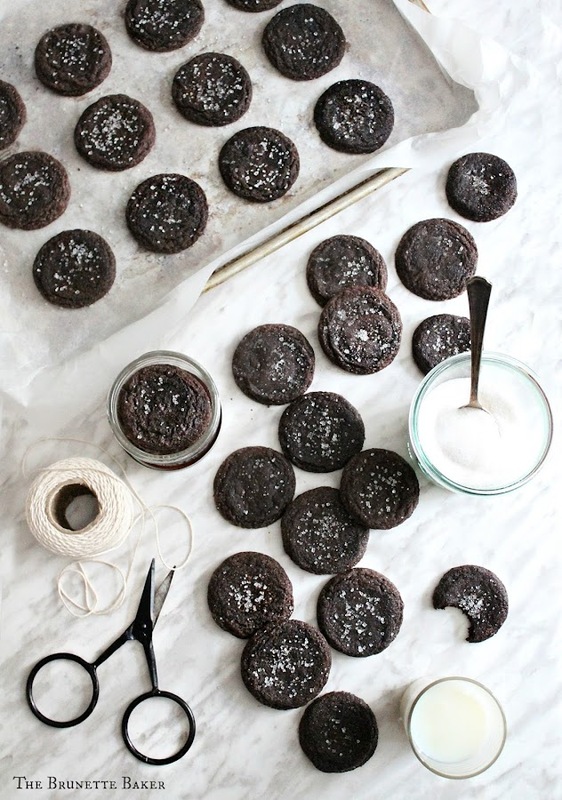 your pics are always so gorgeous and these cookies look irresistible!